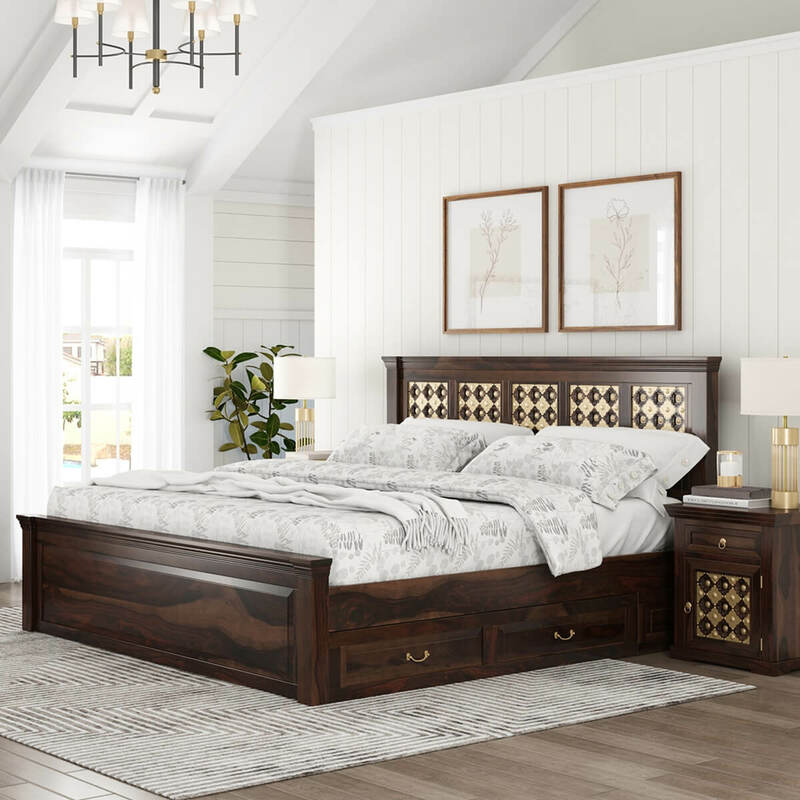 Maximize your space and style with our stunning Diamond Empire Storage Platform Captains Bed with built in under-the-bed storage. 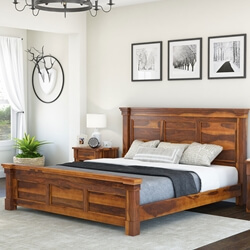 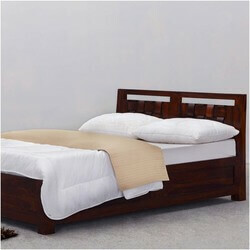 This dynamic handmade bed is built with solid Rosewood, a premium hardwood known for its strength and durability. 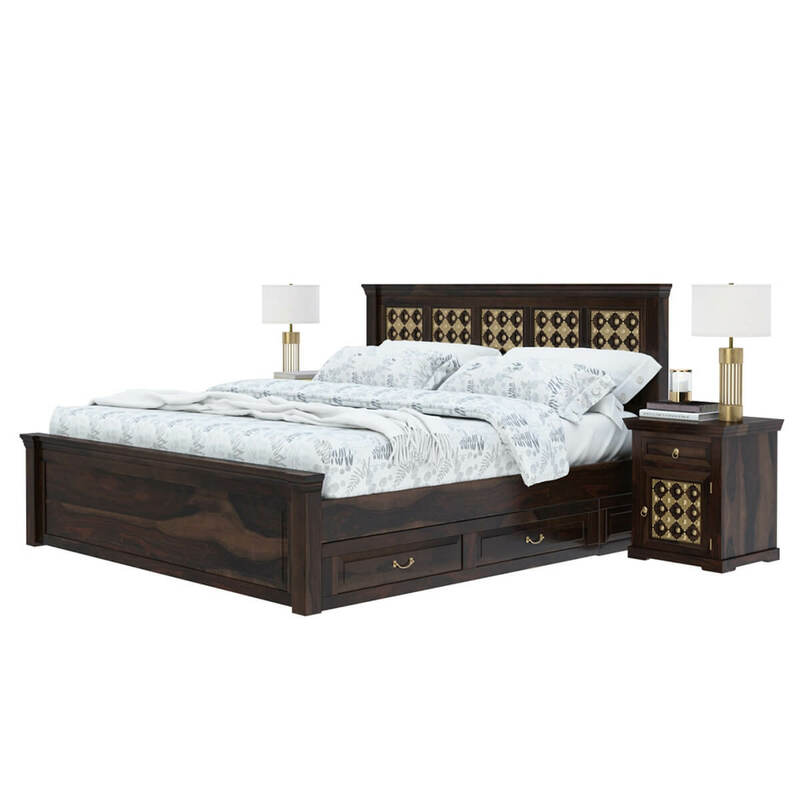 The platform bed with storage is available in four standard sizes; Full, Queen, King and California King. 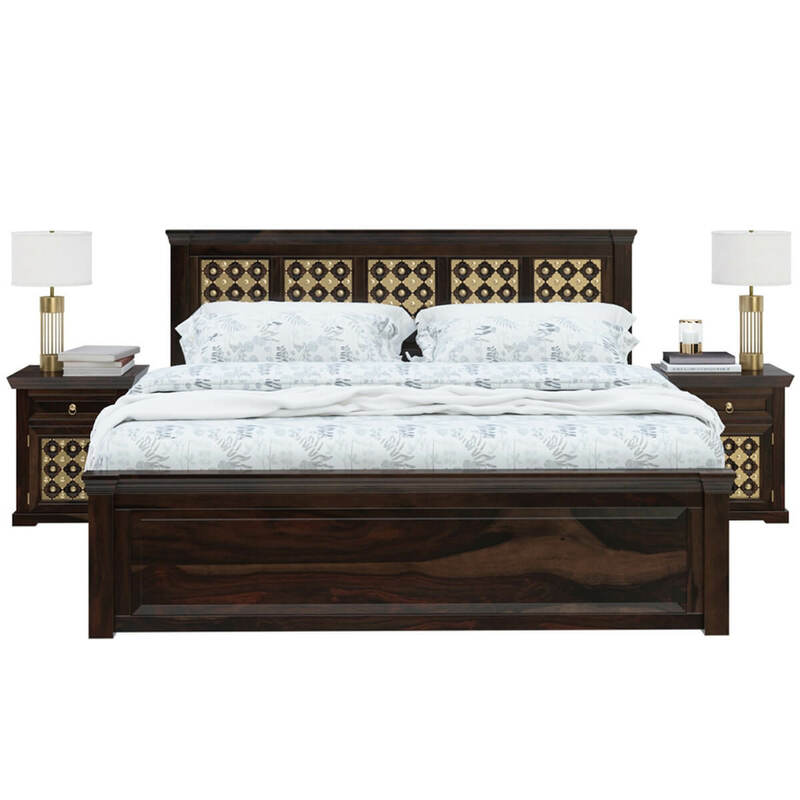 This beautiful bed features a short end board and a tall headboard with a brass diamond inlay design. 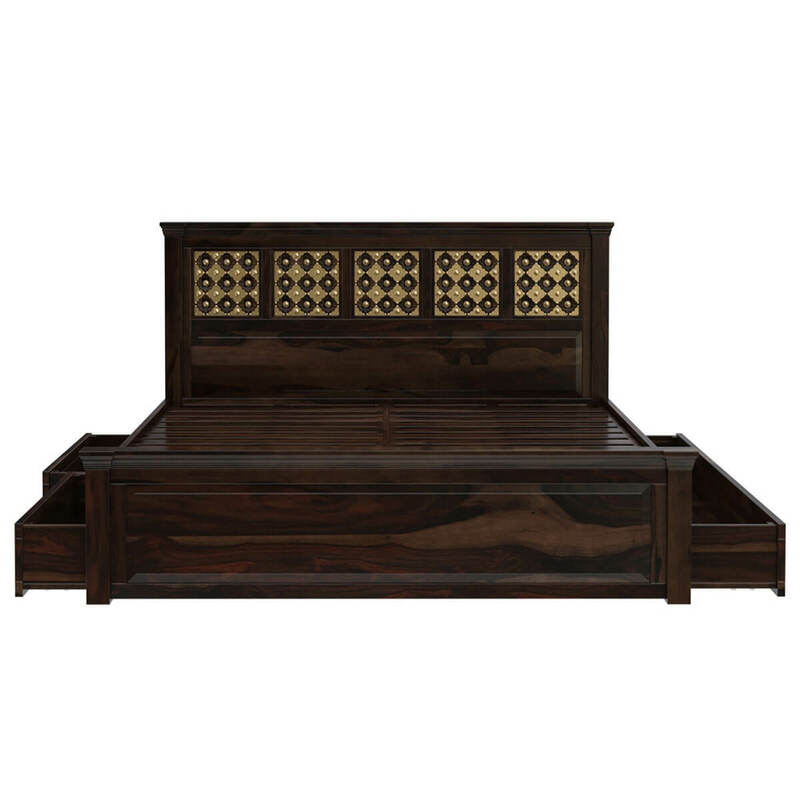 You’ll also enjoy under the bed storage. 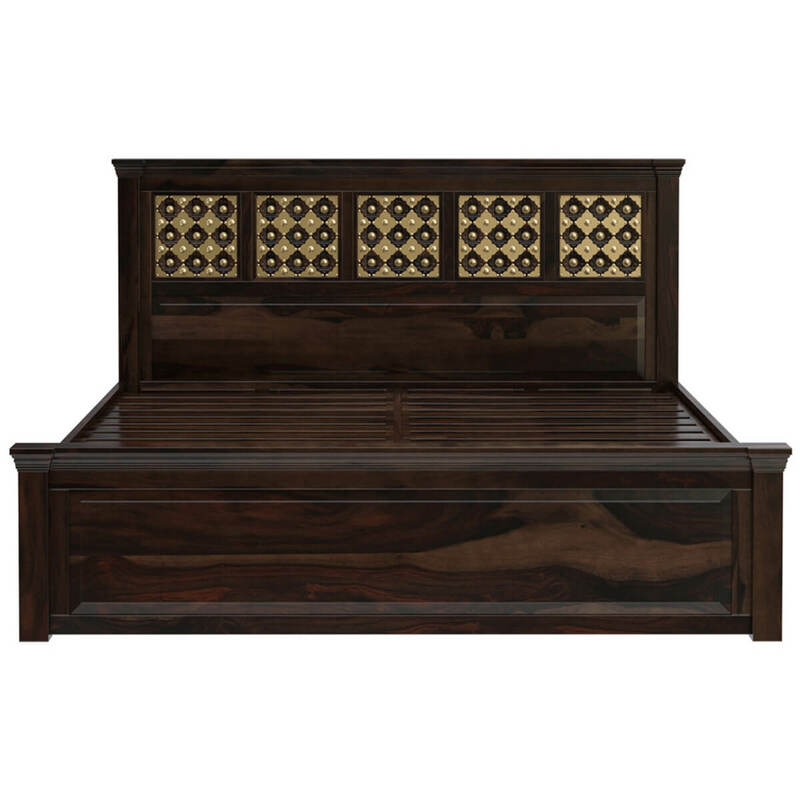 Do not mistake the storage for four small drawers. 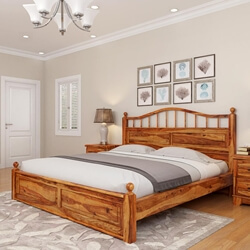 The exteriors, though give away the impression of 2 small drawers on each side, it actually is two drawers on one side and a single large drawer on the other side. 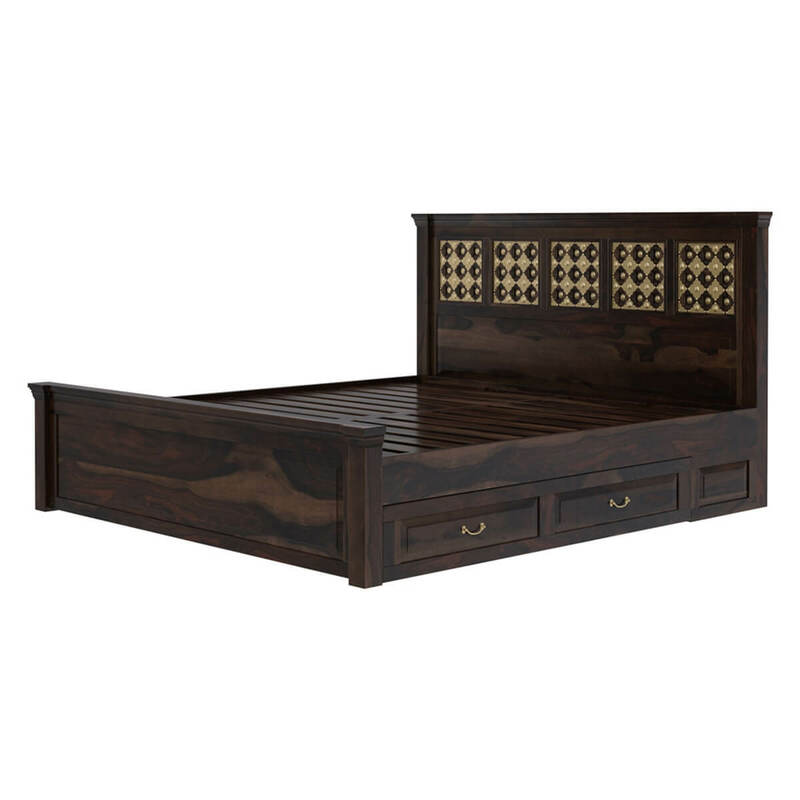 The two smaller drawers can be used to store smaller items while the larger one can be used to place duvets, quilts or blankets. 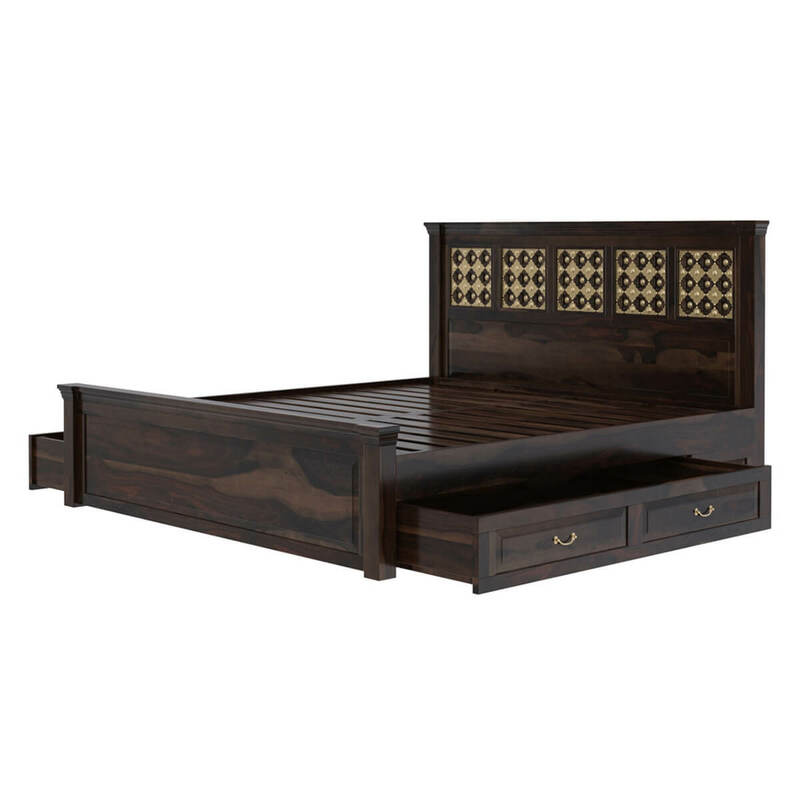 All the drawers come with sixer wheels attached at the bottom for ease of access to you.